The long-running British sci-fi series Doctor Who is centered around The Doctor, the only remaining member of the Time Lord species from the planet Gallifrey. In a last-ditch effort to save the world, The Doctor has had to destroy Gallifrey in the Time War, so he’ll never be able to go home – or can he? 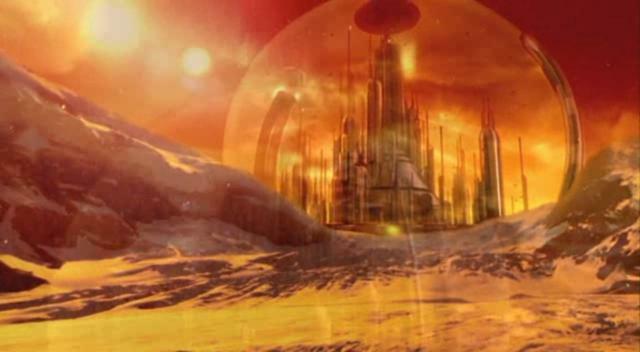 In more recent episodes of the show, it was revealed that Gallifrey is not lost forever, but that it has been relocated to a different universe, setting the scene for a future plot line involving a return to Gallifrey. Two weeks after the fictional planet Gallifrey was revived in the TV series, astronomers announced the discovery of a new, real-life, distant exoplanet. Coincidence? Well, yes. But fans of Doctor Who got excited by the discovery of a new planet so soon after the revelation that the fictional planet Gallifrey is still somewhere out there. 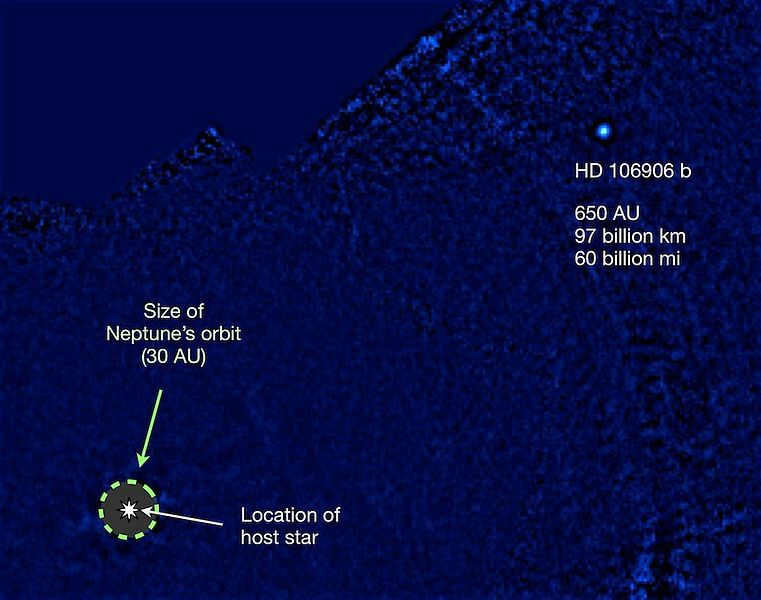 Could newly discovered planet HD 106906 b – the only observed planet orbiting star HD 106906 – be the missing planet Gallifrey? Technically, it could: All we would have to do was name the planet Gallifrey. Australian teenager Sam Menhennet launched a petition to ask the International Astronomical Union to formally change the name of HD 106906 b to “Gallifrey”. Unfortunately, despite collecting 139,746 signatures, the petition was unsuccessful. Sam posted his email correspondence with IAU representative Thierry Montmerle, in which he was given several reasons for the rejection. First, the IAU makes naming decisions only after discussion, not in response to petitions. Another reason was that, scientifically, the status of HD 106906 b as a formal exoplanet is not entirely established yet. And finally, Montmerle wrote, the living conditions on HD 106906 b would be entirely unsuitable for Time Lords! So as of now, neither us humans nor The Doctor have access to a planet called Gallifrey. Depending on whether it’s easier to change an IAU decision or travel to a parallel fictional universe, we’ll see who gets there first.